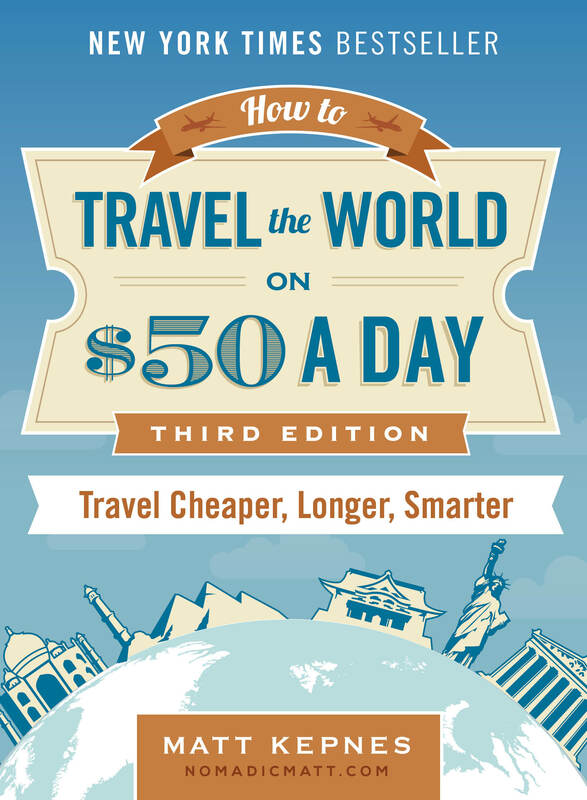 For us, learning about where you are in the world is an essential part of traveling. Instead of reading history books and researching your days away online, we’ve found that a fun way to learn is by watching movies. After a year traveling around Southern and East Africa, we’ve logged hours and hours doing just that. Many of these movies gave us that initial urge to make our way to this less-traveled continent. Scenes of heartbreak, rolling landscapes, and wild animals told us we just had to get to Africa and explore for ourselves. We want to share our favorite movies set in Africa with you, so maybe you will watch them and feel inspired to travel there as well. 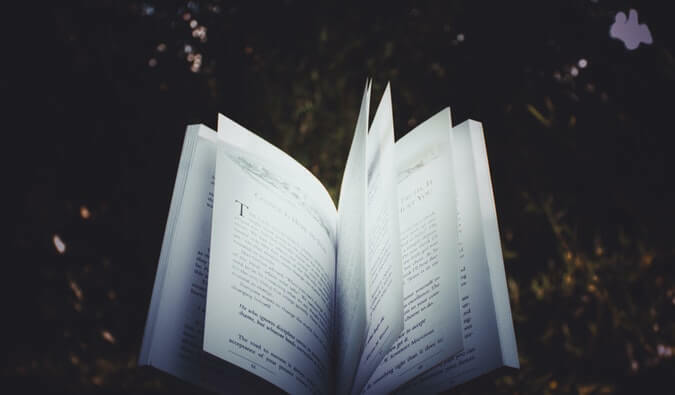 The movies below cover a wide range of topics and genres, but all are based on true events that happened in Africa and give a greater understanding of what traveling there is like. Out of Africa is that movie about Africa that everyone knows and adores. Romance, rolling plains, and lions — what’s not to love? 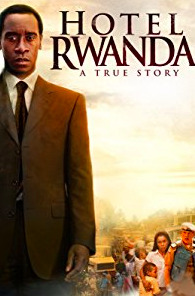 We couldn’t help mentioning it, because, as clichéd as it is, it is one of our favorite movies about Africa. The scenery and landscapes are entrancing, and the breathtaking cinematography convinced us to get ourselves to the continent. If you want to get a glimpse into colonial times in East Africa, with a bit of romance and drama sprinkled in, then set aside a few hours for this classic. Before the movie came out in 1988, Kenya was a place for the rich and elite to go on safari. After this hit the screen, tourism in Kenya exploded. Did you know that there are only 800 mountain gorillas left in the world? Nowadays they are heavily protected in Uganda, Rwanda, and the Democratic Republic of the Congo. However, just a few decades ago there were no conservation efforts to help these mystical animals. But primatologist Diane Fossey spent 18 years of her life studying the social interactions of mountain gorilla families in the Virunga Mountains of Rwanda; without her efforts, it is a real possibility the animals would have been extinct today. This 1988 drama chronicles her life’s work — both her struggles and achievements — and her mysterious death. The film depicts just how deep a bond between animal and human can grow. In 2003, Kenya made African history by offering free primary education to its citizens. Unlikely hero Kimani Maruge, who had never received an education during British colonial times, decided to go to school for the first time at the ripe old age of 84. The First Grader depicts how Maruge persevered and excelled in elementary school, and how determination truly has no age limit, thus putting the importance of education for all, especially in rural Africa, in front of an international audience. 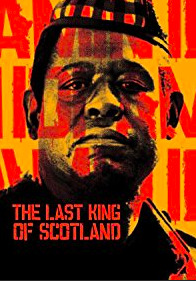 The Last King of Scotland is a must-watch before visiting Uganda. The ruthless Idi Amin became known for human rights abuses, corruption, torture, killing, and ethnic persecution during his brutal regime in the 1970s, causing an estimated 100,000-500,000 deaths, mostly Ugandans. The film’s name is taken from one of Amin’s self-proclaimed titles, the “King of Scotland.” It portrays Amin’s presidency through the eyes of his fictitious physician and conveys a sense of the political turmoil and hardship that the Ugandan people faced. 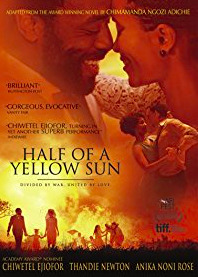 Based on the book of the same name, Half of a Yellow Sun follows two Nigerian sisters as their country’s civil car (also known as the Biafran War) breaks out in the late ’60s. Minute by minute, we watch as the sisters’ lives are decimated: family members die, others starve, and intellectuals become refugees in their own country. Although we haven’t been to Nigeria, the film and book do a great job of showing the atrocities of war, its effect on African women, the role of Western media and expats, and the results of colonialism. The Queen of Katwe is an inspirational real-life story about one young girl defying all odds. Phiona Mutesi is growing up in the slums of Uganda’s capital when she is introduced to the game of chess. With the help of her teachers and family, she goes on to be one of Uganda’s best female chess champions. 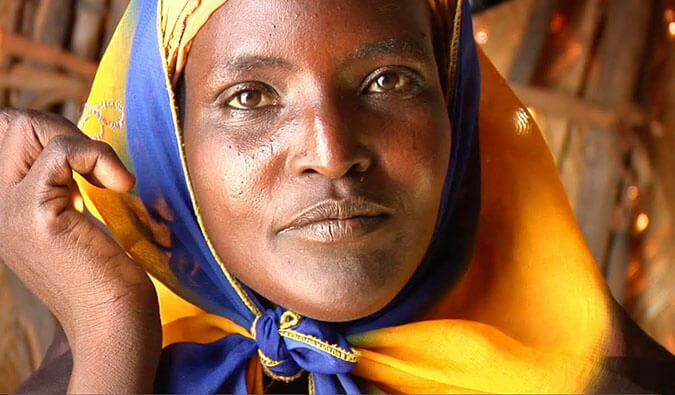 The poverty her family endures and the constant struggles that so many face in Africa make this film a hard one to watch, especially after seeing it in real life. When we were in high school, there were two very tall African boys who looked just a tiny bit older than everyone else. We later learned that they were Sudanese refugees, or some of “The Lost Boys of Sudan,” the name given to over 20,000 boys of the Nuer and Dinka ethnic groups who were orphaned or displaced during the Sudanese civil war.A US government program allowed about 3,800 of these refugees to resettle in the United States. 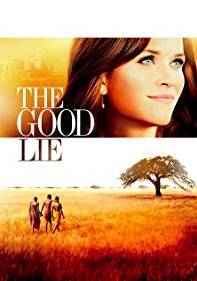 The Good Lie tells the story of three of these Lost Boys and their sister, whose lives are torn apart by a terrible war, and how they are relocated and integrated into American society. Based on of Mandela’s own autobiography, Long Walk to Freedom lends viewers a deeper understanding of the politics of South Africa. The movie does a great job at showcasing historical events, but still mixes in the drama and action to keep viewers entertained. During our three months in South Africa, we saw images of the anti-apartheid revolutionary everywhere. From statues and important buildings to street names and street art, you can truly see the impact of Mandela. This is not a film you’ll find on many lists about Africa, but it’s one of the most fitting for travelers to the continent. It also happens to be one of the first surf films of all time and led to the birth of a genre. The iconic and classic Endless Summer inspired a generation of surfers and travelers alike. 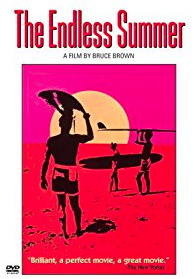 This documentary by Bruce Brown follows two surfers as they leave the cold Californian coast behind in search of an “endless summer” in the Southern Hemisphere. They end up traveling to the coastlines of Senegal, Ghana, and South Africa, showcasing the excellent surf that can still be found in the Western Cape to this day. As world travelers and wanna-be surfers, that’s why we love it so much. ***There are so many great films about Africa that lend a better sense of the continent. Even if you’re not heading that way, give them a watch anyway. They are all entertaining and great works of art. Natasha and Cameron run the blog The World Pursuit, focusing on adventure and cultural travel. The two of them met in the film industry before they decided to abandon the American lifestyle and travel the world together. They’ve been traveling together for three years across 55 countries and six continents. 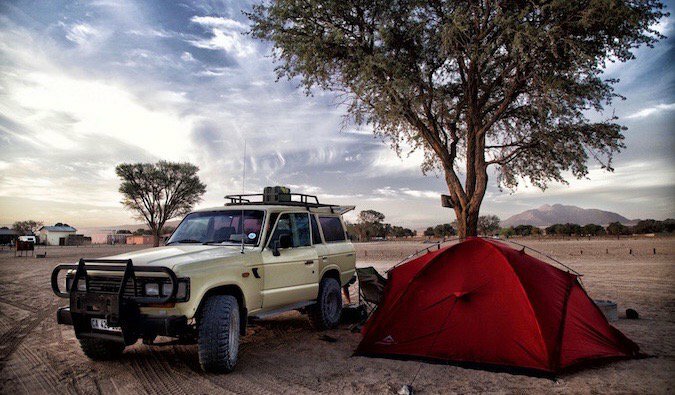 They bought a 4×4 at the tip of Africa and are traversing the continent while documenting their story on Instagram and Facebook. 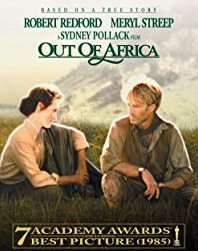 I was living in Kenya when “Out of Africa” came out and saw it in a theater in Nairobi. It was fun to react with the audience to the lines uttered in Swahili (and as I recall also in Kikuyu) several seconds before the subtitles came up. It does show the beauty of the country very well. “The Constant Gardener” also is filmed in Kenya and shows some of the vast contrasts of Nairobi. “Timbuktu” is a great movie, but less of a travel promo. I urge you to view Virunga, an extraordinary documentary about the National Park of the same name in the DNC. It’s streaming on Netflix. That is another great one to watch, especially before going to see any of the last mountain gorillas. Sorry, DRC. I’m listening to “What Happened”. Great post Matt! Africa is such a beautiful continent. Me going to Kenya and Somalia over three times in my life showed me that! Unfortunately I was’t able to capture the true beauty of it. Hopefully sometime this year I’ll go! I have only seen Hotel Rwanda and Gorillas in the Mist. Both are so powerful because they are based on real stories and seem to do justice to the real life events. 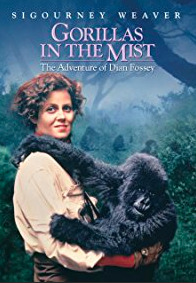 Gorillas in the Mist was moving and Hotel Rwanda was horrifying, but also, empowering in the end. Makes me grateful to have grown up in a stable country. I vividly recall the scene as the guerillas make their way through the countryside, as the coup began. A few minutes earlier all seemed OK. Stable. Safe. Then people start hacking people to death. So difficult to fathom that human beings did this to other humans, but as the guy said in the film, they saw the other side as cockroaches to be exterminated, not actual human beings. Africa is such a fascinating place. It only makes sense that these movies would warm our hearts and cause us to feel a wide range of emotions at times, too. Thanks for sharing the rocking list guys. That is a heartwrenching movie and hard to believe can actually happen. After we went to the Kigali Genocide Memorial we left in tears and were still shocked that it happened during our lives. I’m intrigued to watch Endless Summer and Out of Africa. Watching movies is definitely a good way to learn about the country. I watched quite a few movies on Italy before I made it there last year. Amazing Post-Matt! Africa is such a wonderful mainland. Me going to Capetown more than 5 times throughout my life demonstrated to me that! I’ve seen several of these. The one that really feels like where I live in Angola is the Queen of Katwe. I like your post. My favourites are Out of Africa, Born Free, I Dreamed of Africa. They narrate stories of white settlers and focus on the flora and fauna of Kenya, not poverty and other life struggles. Another one to add to the list is Nowhere in Africa. Though I haven’t watched it but it has an Academy Award. Other thrilling films of recent times are Captain Phillip and Eye in the Sky. Hahaha, @Wanjiku Captain Philip is a good one! 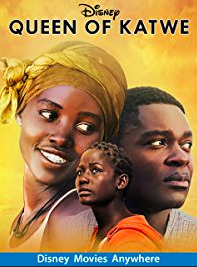 Nowhere in Africa is great too.I recently watched it, though it does not bring out the best of Africa like Queen of Katwe or The First Grander. Great article! Although, I haven’t seen many of these movies but I will. However, I listen this song by Toto – Africa which inspired me to go to Africa. 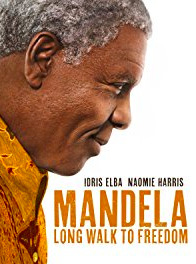 I’ve been studying south Africa in class and want to get a better picture for the whole continent and I think these movies will be a great way for me to start learning about it. Ive seen a couple of these films but all the fantastic nature documentaries is what really inspires me to visit Africa. I can only imagine the thrill of seeing all the amazing wildlife! Definitely a nature lover at heart. Kenya is high on the list for us. Solid list. I’m planning my first trip to Africa next year and look forward to watching a few of these before I go. 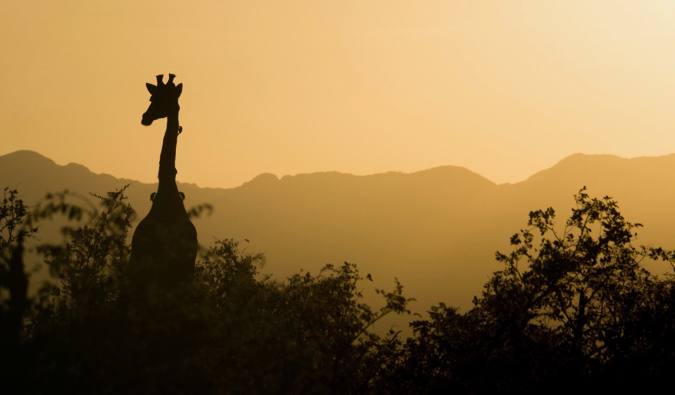 Africa is a fascinating and extremely diverse continent – there´s so much to explore and learn. Nelson Mandela´s story is particularly inspirational, I would love to visit Robben Island in Cape Town. Those films really look outstanding as we can’t judge a movie or book by it’s poster or cover but as much as I read the brief about these films these not only look amazing but also in some of those there is a social cause. and the wildlife of African countries is quite popular. Every animal lover must visit Africa at least once in their lifetime. To those, who already decided to travel Africa, Have A Happy & Safe journey. 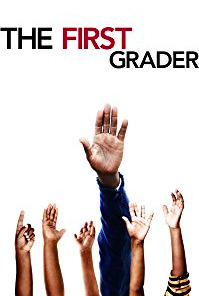 Invictus (2009) starring Morgan Freeman and Matt Damon is another great one. It’s set in the early days of post-Apartheid South Africa. Then, a real classic is Jock of the Bushveld (1988) set in the 1880s and based on a true story by South African author Sir James Percy FitzPatrick and his dog Jock. Also has a famous soundtrack – Great Heart by Johnny Clegg. I can only imagine the thrill of seeing all the amazing wildlife! Definitely a nature lover at heart. Kenya is high on the list for us. When I look for African films my intention is to find films that are made for africans to enjoy and celebrate their rich culture and history and also anticipate a future that awaits todays generations and those yet unborn. I do not necessarily want a film made for non Africans to understand Africa. It has its place but should not be the main thread throughout most of the top epics. Africans need to understand themselves in the complex matrix that defines their lives, within a continent buried with so much negative historical baggage, that its immense unparralled prehistory contributions to humanity are muted. It will be some time before the Nollywood drama series matures into serious epic films of substance, Black Panter is holywoods first attempt to reverse the years of belittling and disempowerment of black people, thier history and culture. It has chosen to do so in its standard “me too” hero worship approach, Hopefully it will graduate into “this is me” or “who we really are”. Whatever people’s opinions are take comfort in knowing this: Africa is on a one way ticket out of its duldrums as the power of a young population is unleashed for better or worse, Africa will break out of the traditional mould in which it has been cast into a new mould of its own making even if it is tulmultuous. Yikes, the condescending attempts at humor in The Endless Summer are truly cringeworthy. The one adjective the narrator seems able to use in the Senegal/Ghana scenes is “primitive.” I know it was a different time in the 60s, but yikes. Cool footage, but the narration makes it hard to watch.